I remember before seeing an option where I could sync with lots of stuff but I don't see it anymore. 3. Select the appropriate integration needed. 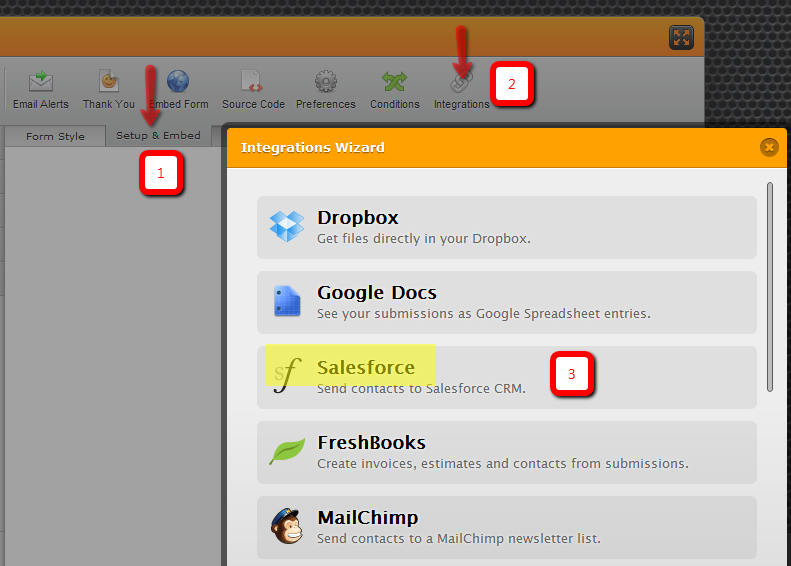 You can learn more about the different JotForm Integrations from this Blog. Can you be more specific about the type of tool you are looking for. Thanks, and I hope you are having a great weekend!